Reading and share top 1 Karthick famous quotes and sayings. 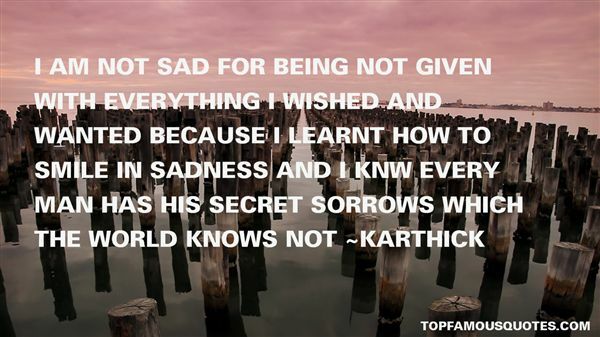 Browse top 1 most favorite famous quotes and sayings by Karthick. If those we love visit us when we dream, those who torment us almost always visit us when we're still awake."